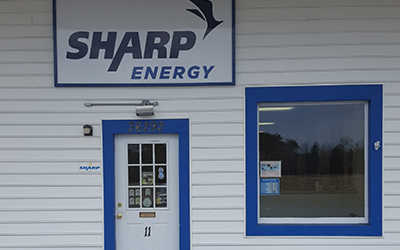 At Sharp Energy, propane service is our business. Our excellent service and value have been the foundation of our growth and success. We treat each customer as our only customer, because we are fueled by the old-fashioned belief that the customer is our most valuable asset. Anybody can sell you propane... when you choose Sharp Energy, you’re choosing people who take great pride in providing the best value in propane, because we deliver so much more! Safety - Our top priority for you and your family. Dependability - We have propane for you when you need it. Knowledge - Our professional staff is trained to help you with any concerns you have with your propane service. Reliability - Prompt and responsive to your propane needs. Confidence - Emergency Service available 24 hours a day. Sharp Benefits - Ways to help you save. Propane offers so much more to the homeowner and commercial customer. The warmth and efficiency of propane energy continues to grow in the United States. So no matter where you choose to live, you can count on this dependable, portable energy source to meet your needs. Our Belle Haven office is located in Accomac County, Virginia. We hope that you choose Sharp Energy as your propane supplier. Thank you for visiting and we hope to serve your propane needs today!